This powerful, high rpm AIR-POWERED MIXER with stand blade shaft provides safe, stall-proof mixing action and operation with moderate maintenance. Offers less chance of overheating and delivers more horsepower per weight than electric-powered motors. Variable speed range 300-3000 rpm, compatible with various viscosities up to 5,000 cPs. Equipped with a 3-jaw geared chuck with locking wrench to accommodate shafts from 1/8" to 1/2". Maximum horsepower is 3/4 hp (heavy-duty 1-1/2 hp motor also available). 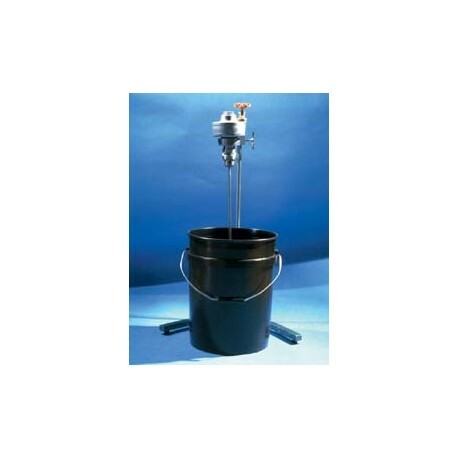 A brass needle valve controls air intake and a speed muffler reduces noise level. 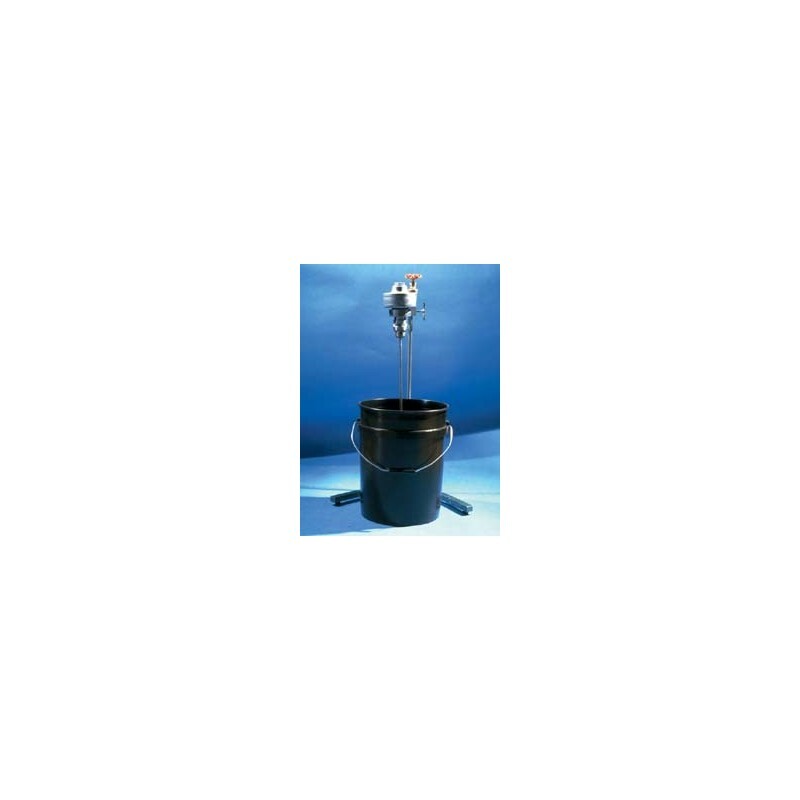 Complete unit includes a heavy-duty stand for 5 gallon pail, support clamp, and standard mixing shaft 18"L x 5/16" diameter with 2-1/2" diameter blade.